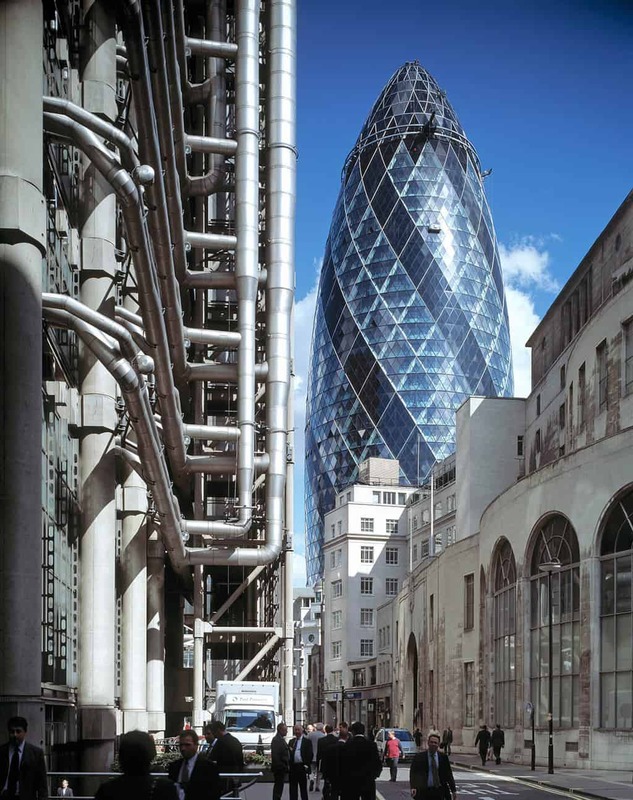 From St Paul’s Cathedral through to the Gherkin, the Square Mile has never been short an architectural landmark. 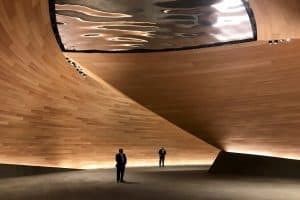 And while these structures are impressive enough from afar, the secrets they hold inside are the reason more than a quarter of a million people will be turning up for Open House London this weekend. Launched in 1992 by Open City founder Victoria Thornton, the first Open House London had just 20 buildings on the bill, including the RIBA award-winning Lloyds of London building on Lime Street. A quarter of a century later, Richard Rogers Partnership’s futuristic-looking tower extension is joined by more than 800 buildings all signed up to open their doors to the public on 16 and 17 September. London remains the largest event on the Open City calendar, which has expanded to include more than 30 cities worldwide. And while the Capital’s skyline might have changed significantly over the past 25 years, the aim of the programme remains, as ever, to make London’s world-famous architecture more accessible to the public. “We want Londoners to speak as confidently about their built environment as they do about books, music and art,” says Open House director Rory Olcayto. St Botolph without Aldgate designed by George Dance the Elder. Architect and former clerk of the City George Dance the Elder made his name designing Mansion House in 1734, and when you have the most important private residences in the Square Mile under your belt, it’s a safe bet more jobs will follow. 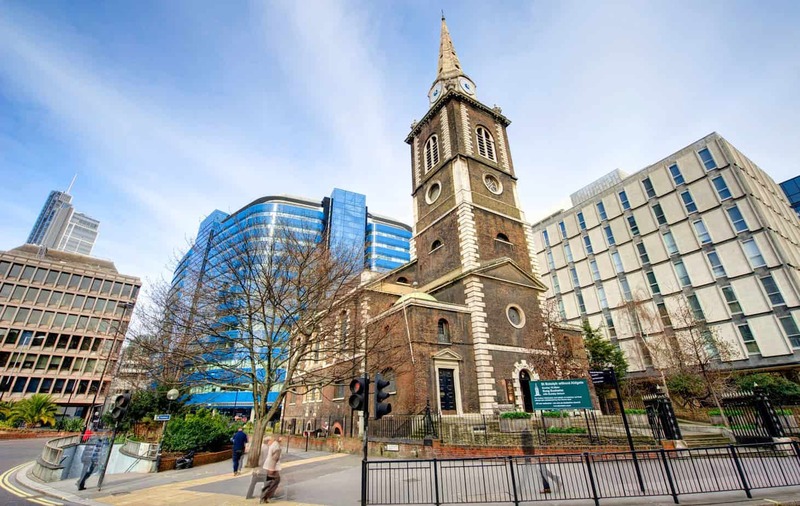 St Botolph came around 10 years later, a complete rebuild of the medieval church that survived the Great Fire. Part of his design included a ring of eight bells, which were cast at the Whitechapel Bell Foundry and are now rung by the experts at the Middlesex County Association, who will be doing demonstrations throughout the day. There’s also a chance to check out Britain’s oldest organ still in use; predating the building itself at around 315 years young. We all remember them; the planning rows that bubble up over the barricades of local council meetings and into the mainstream consciousness. 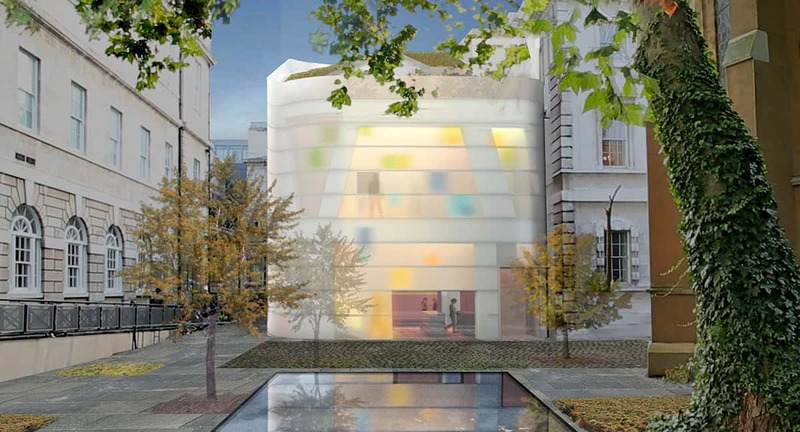 In 2014, it was Steven Holl’s design for cancer charity Maggie’s new centre at St Bart’s that drew the ire of everyone from high-profile surgeons to heritage campaigners who said Holl’s three-story ‘urban townhouse’ would dramatically impact the neighbouring Grade I-listed Great Hall. 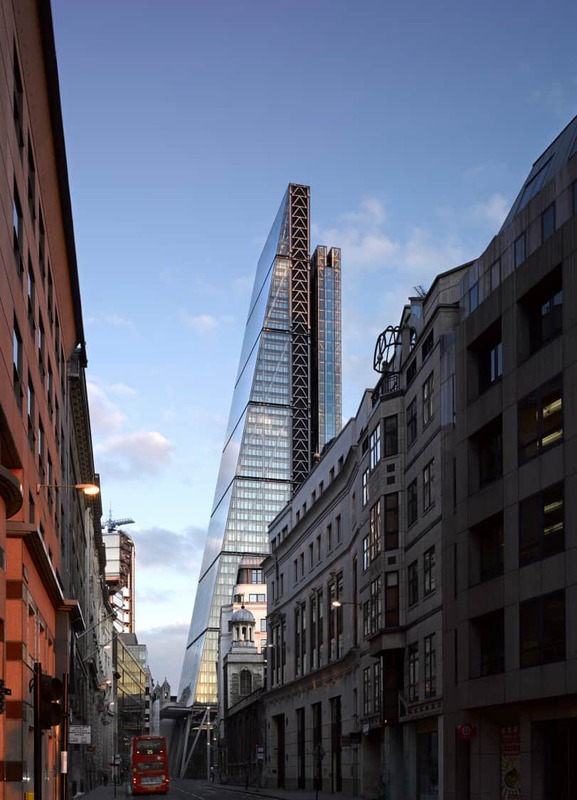 Despite some frenzied lobbying, City of London planners narrowly approved Holl’s design and construction began in 2015. Here’s your chance for a wander around the Great Hall and a sneak peak at the centre that caused all the fuss before its official opening in December. If you find it difficult to navigate your way through Liverpool Street station above ground, spare a thought for Wilkinson Eyre Architects, charged with devising a plan to build a transport hub for Europe’s largest infrastructure project 50 metres below it. 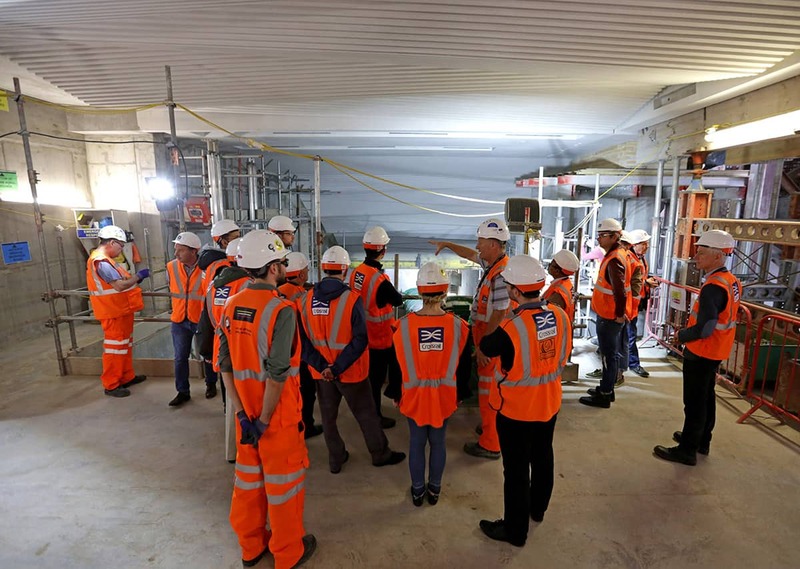 Work is nearly complete on the new Elizabeth line platform that connects Liverpool Street and Moorgate Tube stations via two mined platforms, all the while dodging a maze of sewers, existing Tube lines, the Post Office Railway, and thousands of Roman artefacts. Bookings are required for this exclusive peek behind the construction hoardings and visit to the site office for a project update. 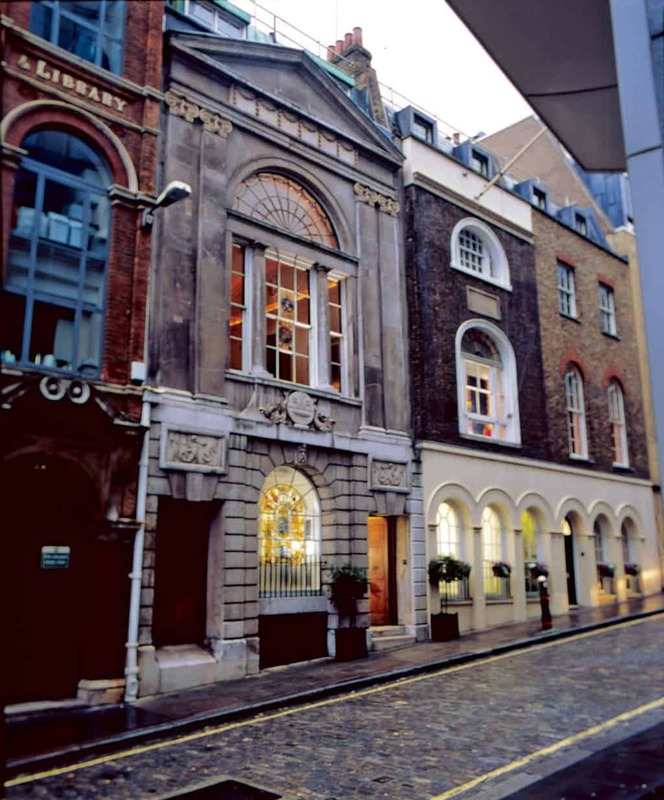 The City is full of livery halls with varying degrees of embellishment, but Watermen’s Hall on St Mary-at-Hill lays claim to being the only remaining Georgian original. Designed by William Blackburn in 1780, it is classed as a pristine example of domestic architecture from the period, despite its grandest room – The Freemen’s Room – being an addition of the 1980s. Look out for displays of the Worshipful Company of Watermen’s uniforms, including a Doggett’s Coat and Badge presented to the Company by Prince Albert in 1851. It was the skyscraper that kicked off a race to the top for developers in the City’s Eastern Cluster, and 15 years after it was completed, Norman Foster’s St Mary Axe (as it prefers to be known) remains arguably the most famous on the City’s rapidly changing skyline. Wander through all 38 storeys at your leisure and stop at Searcy’s on floors 39 and 40 for brunch and 360-degree panoramic views, but be prepared to queue. Fletcher Priest Architects have designed an ‘angel’ of the green building movement. Photo by Fletcher Priest Architects. 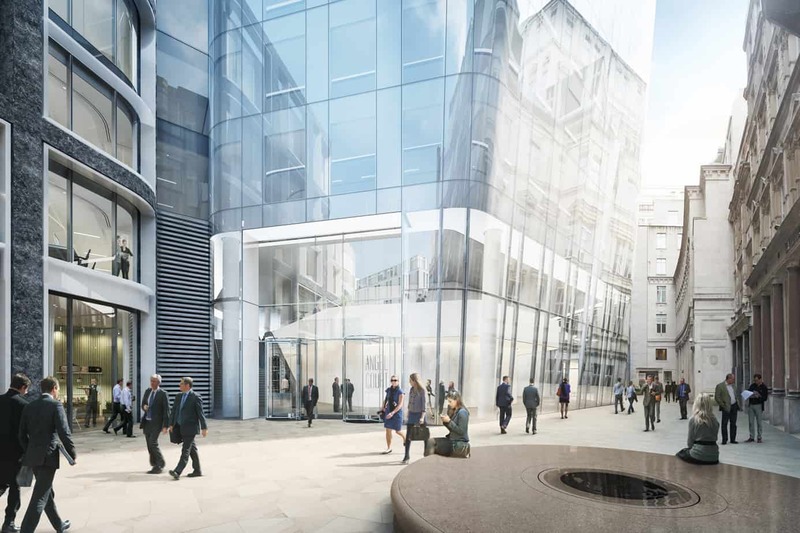 Architects Fletcher Priest are responsible for the newest addition to the City’s Open House programme, a redevelopment of a 1970s office block that embodies its new name hovering above the ground and encased in a glass shell that appears translucent in daylight. It’s also an ‘angel’ of the green building movement, achieving the 2014 BREEAM ‘Excellent’ and an EPC ‘A’ rating, and using a third of the energy of its predecessor despite being 60% larger in area. St Helen’s is known as the ‘Westminster Abbey of the City’. 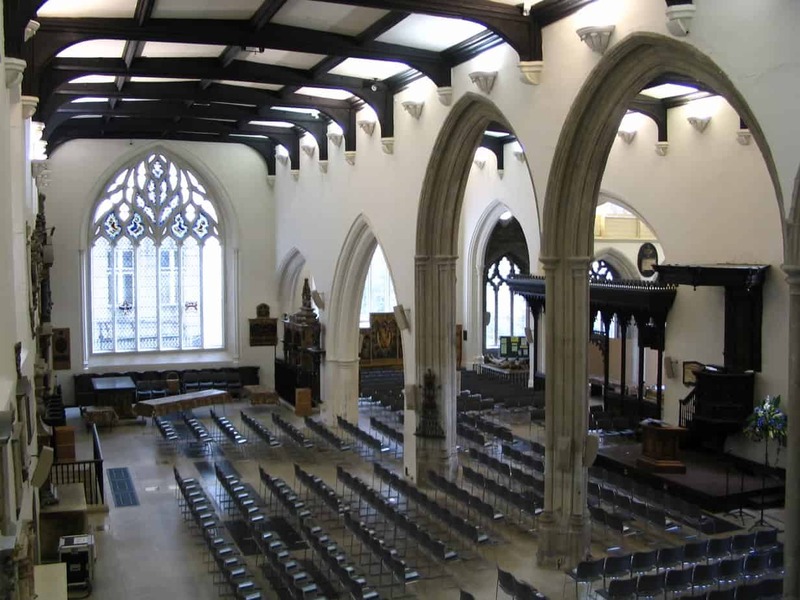 A survivor of the Great Fire, the Bishopsgate fire of 1765, and two World Wars, St Helen’s has got some staying power. 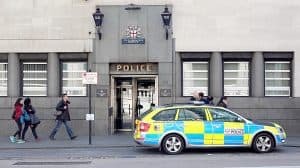 The Square Mile’s oldest church (built way back in 1210) was damaged in 1992 by two IRA bombs that detonated nearby, but was restored two years later under Terry Quinlan. Its collection of artefacts, greater than any other church in Greater London with the exception of Westminster Abbey, has earned it the nickname the ‘Westminster Abbey of the City’. While Open House is all about getting up close and personal with London’s buildings, sometimes it takes a bird’s eye view to appreciate the bigger architectural picture. This 1:500 scale interactive model squirrelled away in the City Centre (lead image) is a unique interactive decision making tool for City planners, who can view each property in the context of neighbouring occupants, nearby facilities and public transport. It also blows any of your Lego creations out of the water. The Triforium at St Paul’s Cathedral. 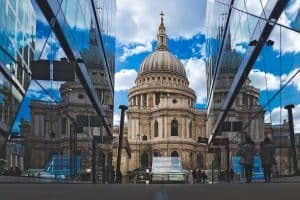 Fun fact: there are six St Paul’s on the Open House programme this year, but Sir Christopher Wren’s cathedral in the heart of the City is hard to beat. 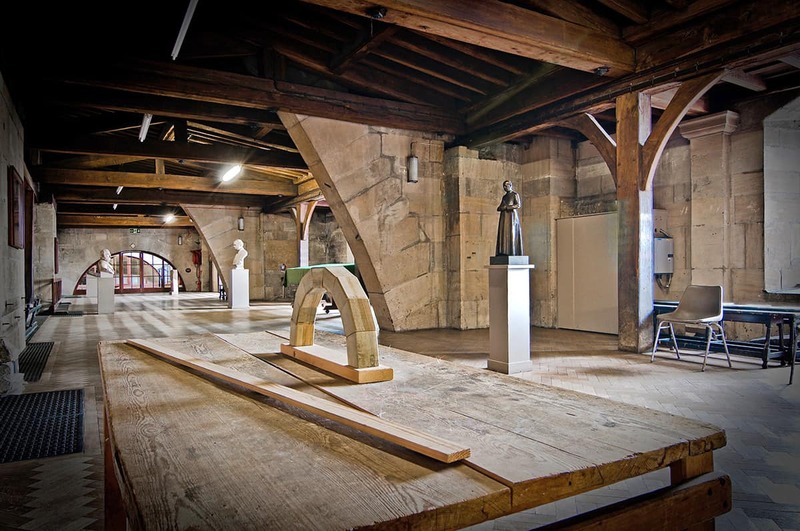 A tour of the triforium (lead image) – the huge hidden corridor that runs around the nave – offers access to the 18th-century library, Wren’s Great Model (roughly the size of a garden shed), and a cracking view from the west gallery.